I have a strange relationship with corn dogs. For some odd reason, every time I see them I think I don’t like them. And I know it’s all in my head because as soon as I take a bite, I end up having at least two. And this happens every time. Corn dogs are so popular in the US that you see them everywhere, especially during the summer during carnivals or festivals. You can also find them in the frozen section of the grocery store but they’re so easy to make that it makes more sense to make them at home. 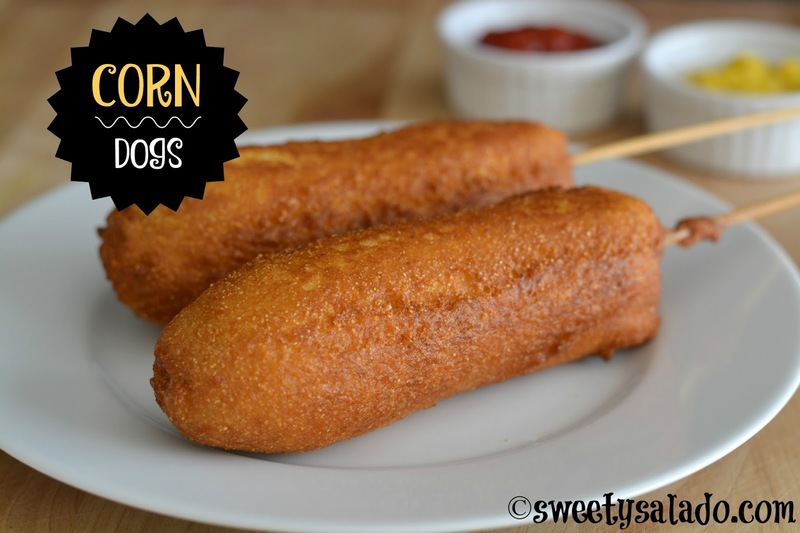 So what does a corn dog taste like? 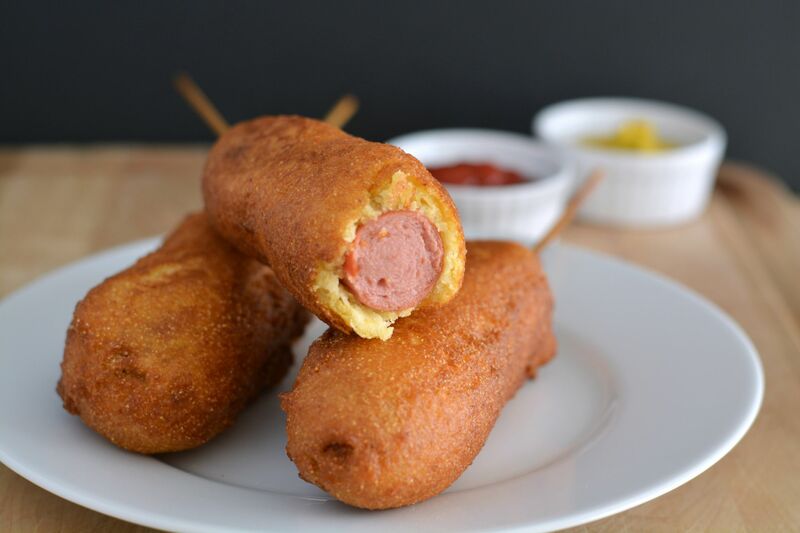 Just think of a hot dog wrapped in a blanket made out of corn bread… and then fry it. That’s it. Two basic ingredients that taste so good together, you can never have just one. Pre-heat oil to 350ºF (180ºC). You can pre-heat it on the stove on medium to medium high heat. Whisk the milk and the egg and set aside. In a medium bowl, mix the flour, cornmeal, sugar, baking powder and salt. Slowly add the egg mixture and mix until smooth. Pour the batter into a large glass and set aside. Dry the hot dogs with a paper towel and insert the skewers starting at one end and stopping right before it reaches the other end. Do this with every hot dog. Dip each hot dog in the batter and make sure it's completely covered. If you notice that your batter is too dry, you can add a bit more milk to thin it out. Fry the hot dogs in the pre-heated oil for 3-5 minutes or until golden brown. Make sure you turn them over so they don't burn. Fry in batches of 2-3 hot dogs so the temperature of the oil doesn't go down too quickly. Drain the corn dogs on paper towels and let them cool slightly before serving.